Medical Assisting Programs - Are They Right For You? If you want to become a medical assistant, the best way is to find a medical assisting program to give you a great foundation in all the skills you'll need on the job. This job market is growing rapidly. Employers expect much more of medical assistants now that so many training programs are available, and this is the best way to stand out in a competitive market. Finding a job should be (relatively) easy after you graduate from a program! Although no states require training for this position, it's becoming more and more the standard for gaining employment. Going through a medical assisting program means that you come to the job with certain skills already in place and can provide instant help to the workplace. In the past, medical assistants learned exclusively on the job. A doctor's office would hire you and train you to do the things that were necessary to keep the office running. Nowadays, new medical assistants usually go to school. Most employers won't consider a potential employee unless they've completed some sort of program. It's important to choose a medical assisting program that meets with accreditation standards so that both employers and certification bodies accept your degree. The two main bodies are the Accrediting Bureau of Health Education Schools (ABHES) and the Commission on Accreditation of Allied Health Education Programs (CAAHEP). These supervisory bodies go into schools and interview faculty, students, and administrators to determine that the school is teaching the same standard of information as other quality schools. It can take six to twelve months to get through accreditation, and accreditation can last for several years. Schools take these credits very seriously because it determines their worth to students. You should only choose programs accredited by one of these two organizations! You can go to school and earn a certificate in medical assisting. This usually only takes about a year and normally costs less than getting a more advanced degree. You'll still learn about anatomy and physiology, insurance, and transcription, but it will not be as in-depth as a two-year degree. and taking vital signs from patients. It's a very good base of knowledge to have as a medical assistant. If you want more responsibility in the doctor's office then you should consider getting a two-year associate's degree in medical assisting. and give some medications with a doctor's supervision. In some states, you would be able to take X-rays and give injections with a further exam. Once you graduate from an accredited medical assisting program, either with a certificate or an associate's degree, you'll probably want to look into becoming certified as a medical assistant to further solidify your value to employers. It's definitely a comprehensive test and requires intense study to pass. You may wonder if you should even pursue certification, since the testing can be difficult. It isn't required to work as a medical assistant, but there are lots of good reasons to become certified. Certification is a signal to employers and patients that you are a professional, and that you are dedicated to medical assisting. When an employer is looking at many applicant's resumes, those that have a certificate will stand out as experts in the field compared with other applicants. Some employers, such as hospitals, require that you are certified in medical assisting, so you need this paper to open all doors to all employment. You'll get paid more if you are certified, and you'll likely have access to the more desirable jobs if you pursue this extra training. You may consider an online school in medical assisting. 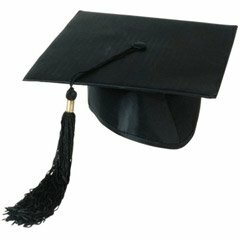 This is a viable method for obtaining your degree, but you must make sure that you are the type of person that can handle online education. You have to be a self-starter who is organized and willing to push yourself, even when you are not really in the mood for it. The online program can help many medical assistant candidates fulfill their dreams while working a full time job, but you have to stay dedicated to your work to make online schooling work for you. Many online schools offer medical assisting programs, such as Fortis College and Kaplan University. The only potential problem with these schools occurs with the clinical internships that many programs require. These are hours that must be spent in a doctor's office, learning medical assisting on the job. You would likely need to find a venue in your town to meet this requirement if you take an online medical assisting program. Ready to start? See what you'll learn in your medical assisting classes, or see the 5 traits that make studying medical assisting online easier. You should also be familiar with your state's scope of practice.